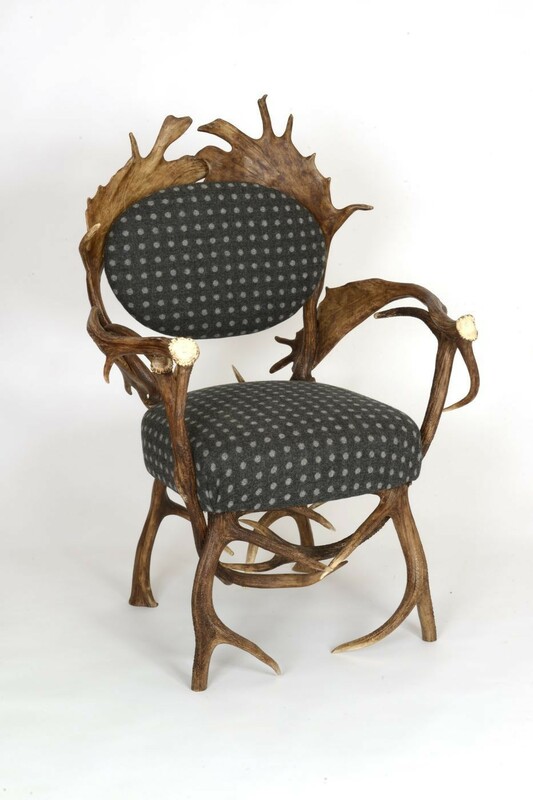 Our most popular Antler Chair, made with a combination of Red and Fallow antlers. It can be used as a dining chair or side chair. Any fabric, leather or cowhide can be used for the upholstery.